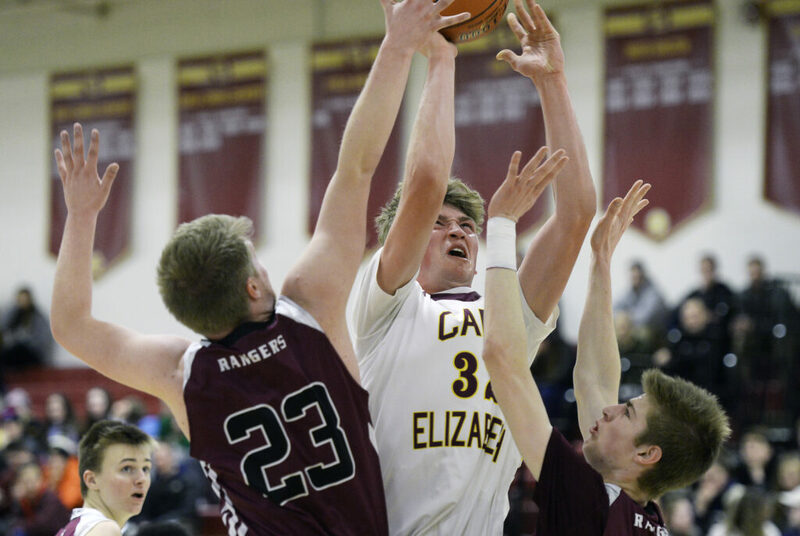 Cape Elizabeth's Andrew Hartel goes up for a shot as Greely's Michael Coppersmith, left, and Joseph Cimino defend in Tuesday night's game at Cape Elizabeth. 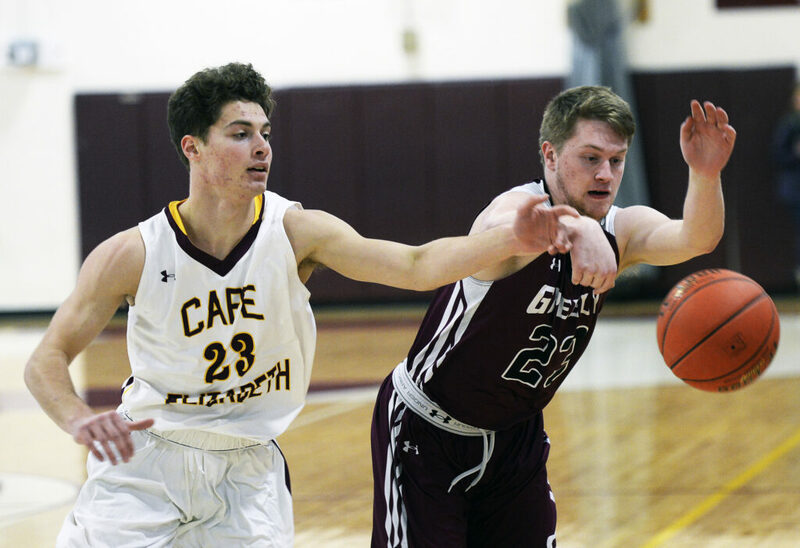 Cape Elizabeth's Matt Conley battles for a loose ball with Michael Coppersmith of Greely. 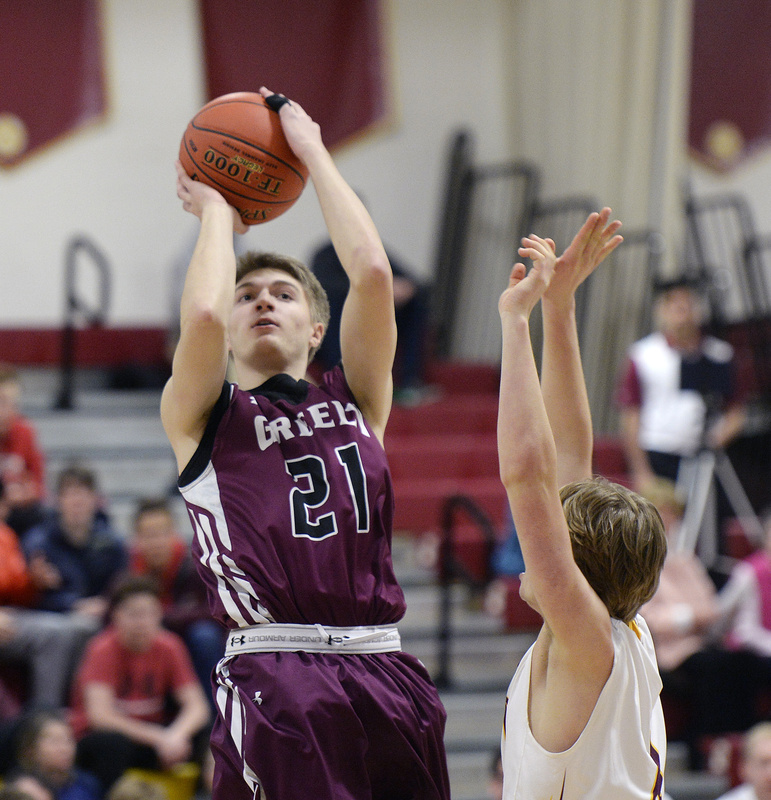 Greely's Zach Brown takes a shotover Quinn Morse of Cape Elizabeth. 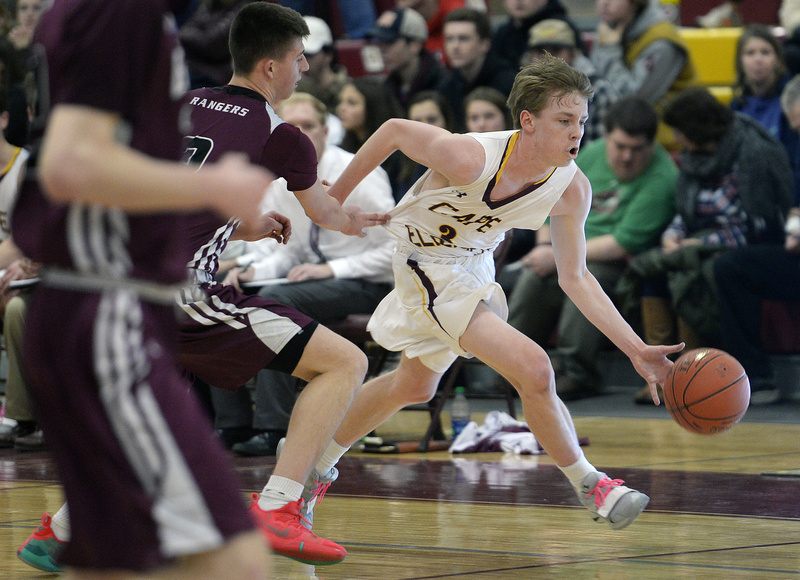 Nathan Mullen of Cape Elizabeth races down court as Logan Bagshaw of Greely tries to slow him down. 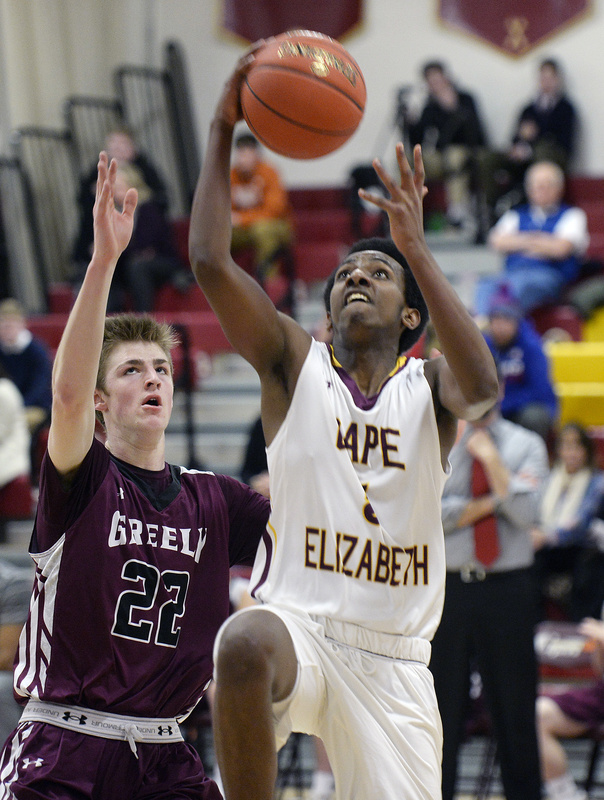 Cape Elizabeth's Aman Hagos gets a step on Greely's Andrew Storey and drives to the basket.